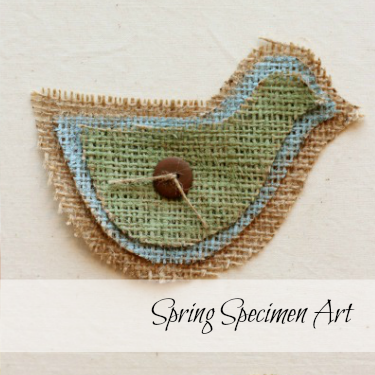 I Learn how to turn a humble Paper Bag into something amazing with these simple tutorials. I had no idea that the paper bag was so versatile. 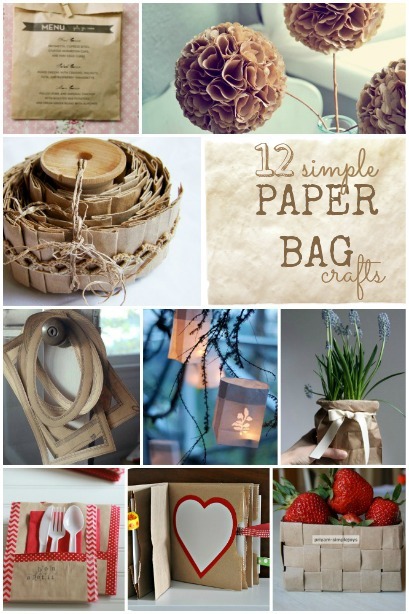 Some of my favorite paper bag crafts include…lanterns, packaging, home decor and even flooring! How cool is that and better yet frugal! 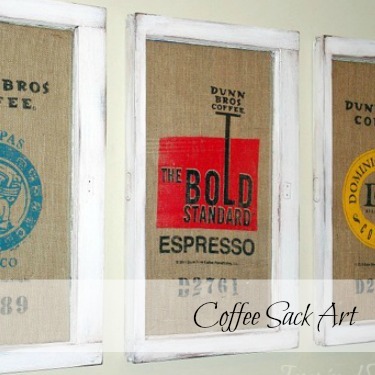 Paper Bag Books ~ Turn a bag in to a book…how cool is that? These little books were originally designed for Valentines Day. However, they would be a perfect way to capture your family vacation memories this summer. The possibilities are endless. Brown Paper Bag Basket ~ Brighten someones day with this simple woven basket. 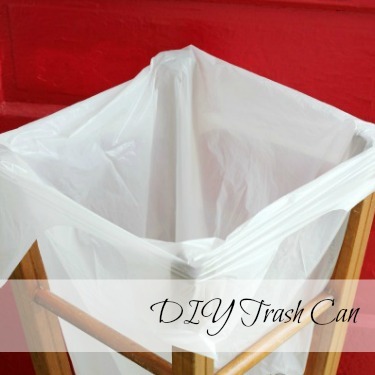 It is totally adorable, and a wonderful way to up cycle your grocery bags. You could also get the kids involved in creating them. Paper Bag Candy Pouch ~ What a simple idea for a party favor. You could really sew anything inside these little pouches. Think small trinkets, candy, crayons…the list could keep going. Paper Bag Utensil Holder ~ I am in love with both Washi Tape and Paper Bags, so combined…yes please! Add a little splash of color and whimsy to your picnic with this simple utensil pocket. Paper Bag Hydrangeas ~ Hydrangeas are on of my favorite flowers. They are beautiful in the garden or dried in a bouquet. Well now you can make your own hydrangea bouquet with a few simple folds and a glue gun. Paper bag Wreath ~ What a frugal way to dress up your house for a holiday. Bonus, you would never know that this simple wreath was made from paper bags. The texture is incredible. Paper Frames ~ Beautiful frames are not cheap, so why not design your own. I love the addition of the chalkboard centers. What a fun idea for a party. Paper Bag Plant Pot Disguise ~ Giving a potted plant to a friend? Dress up (or hide) the standard plastic pot with an adorable paper bag. Yep you hear right…a paper bag and tie with a ribbon. A gift anyone would love to receive. Paper Bag Floor ~ Ok now I have seen it all. Seriously…this floor is incredible. I actually thought it was leather when I first saw the photos. Paper Bag Lanterns ~ Turn a simple paper bag in to an elegant way to light a path. Although, I would suggest using battery operated tea lights. Paper Bag Menus ~ Simple enough for a casual party, but also perfect for a wedding. I love that since they are little bags, there is a built in pocket for a special treat or party favor. Paper Bag Ribbon ~ Dress up your next package with a little ribbon you make yourself. I love love love this idea! With a little folding and a little sewing you can make your own unique ribbon. This entry was tagged Inspiration and Ideas, Paper Bags, Recycling.